Posted on June 1, 2015	by Hamilton B.A.S.E. Microsoft has announced that Windows 10 will be released on July 29! I’m running Windows 8.1 on my desktop right now. When I logged in this morning, I noticed something new. There’s a little icon in the taskbar tray area that looks like a little Windows icon. So, I clicked on it. Interesting. 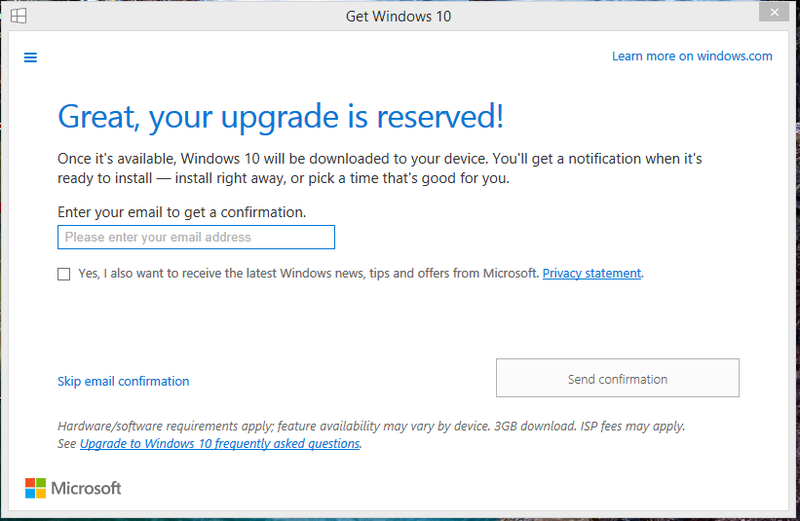 So I gather that the plan is that you can reserve your free upgrade, and when Windows 10 is released, you’ll automatically get it. Just wake up one morning and suddenly Windows 10 is on your computer. Nice! We’ll see how this works! By the way, I’ve been running a preview version of Windows 10 on another computer for a while now, and I’m excited about this release. 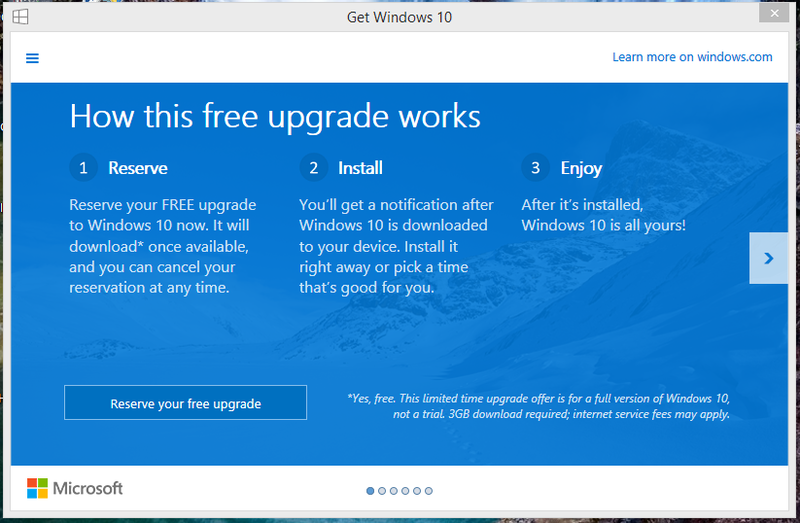 This is also the first time I remember a Windows upgrade being available free. Windows 8 was available for a limited time for $40 when it first came out. That was a good deal, but Free is even better!